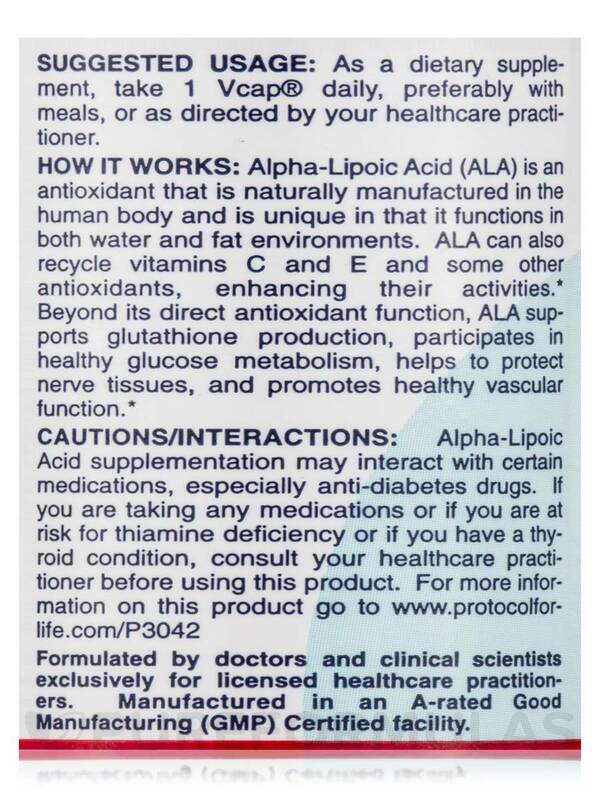 Alpha-Lipoic Acid from Protocol for Life Balance® may help your body from certain cell damage. While Alpha-Lipoic Acid (ALA) restores the level of vitamin E and C‚ it may even help in the breakdown of carbohydrates to produce energy for the organs in your body. Researchers believe that ALA may work as a powerful fat and water-soluble antioxidant and is termed as a universal antioxidant that may provide ultimate protection from free radical damage in the body. 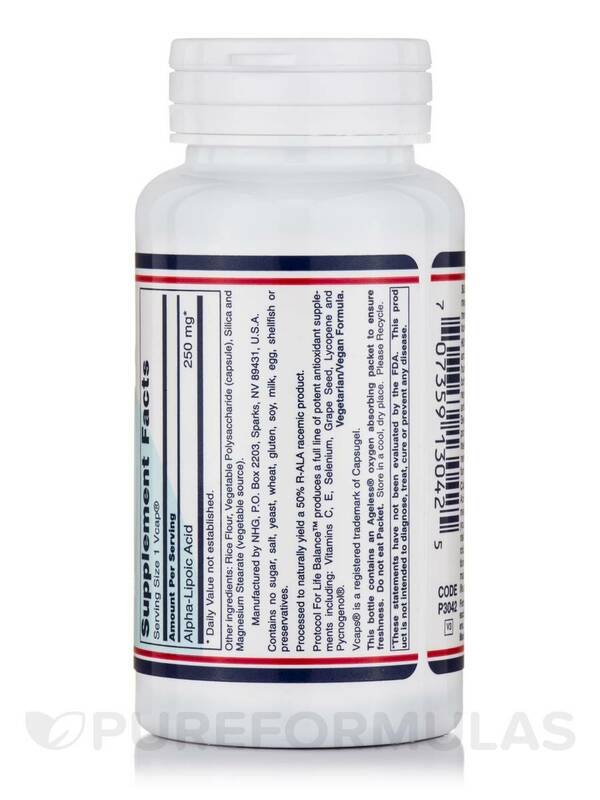 Some people also believe that this supplement from Protocol for Life Balance® may work towards glucose metabolism within cells. 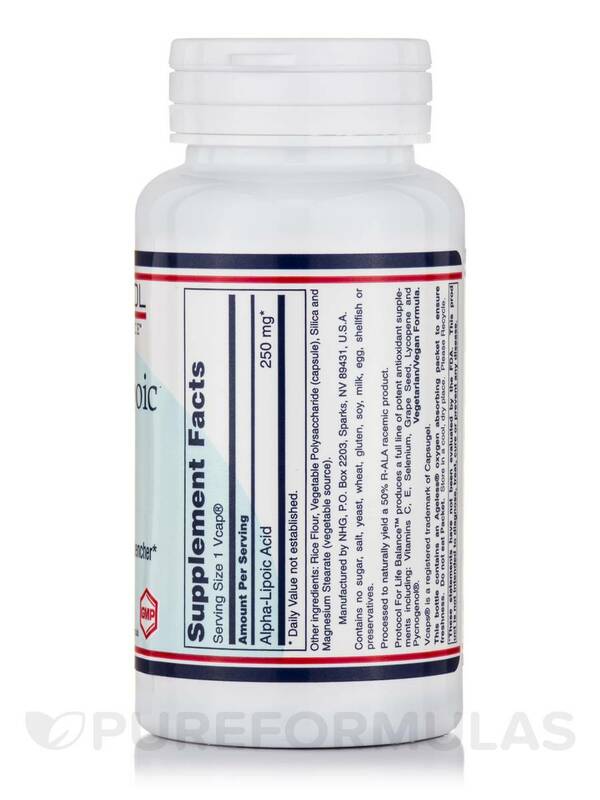 While it supports normal insulin response it may also help in maintaining healthy blood sugar levels in the body. There are yet others who state that ALA may help in the removal of transition metals from the body that may reduce the workload of the liver. 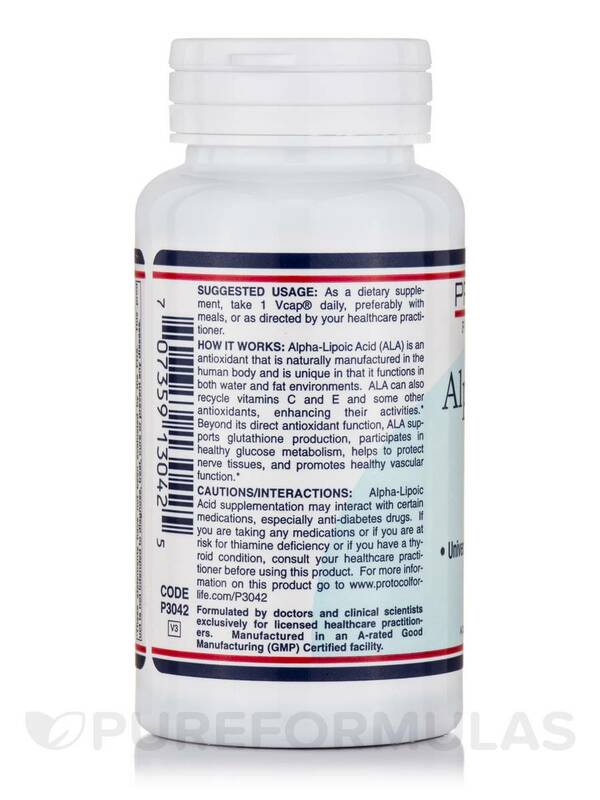 Few studies also claim that ALA may well be your answer to better brain health and improving cognitive functions. 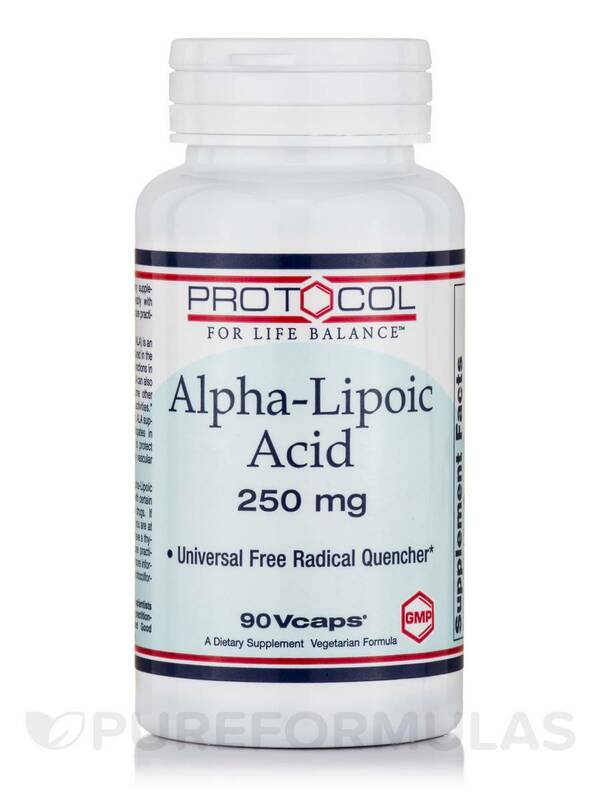 Support your body with Alpha-Lipoic Acid from Protocol for Life Balance®. 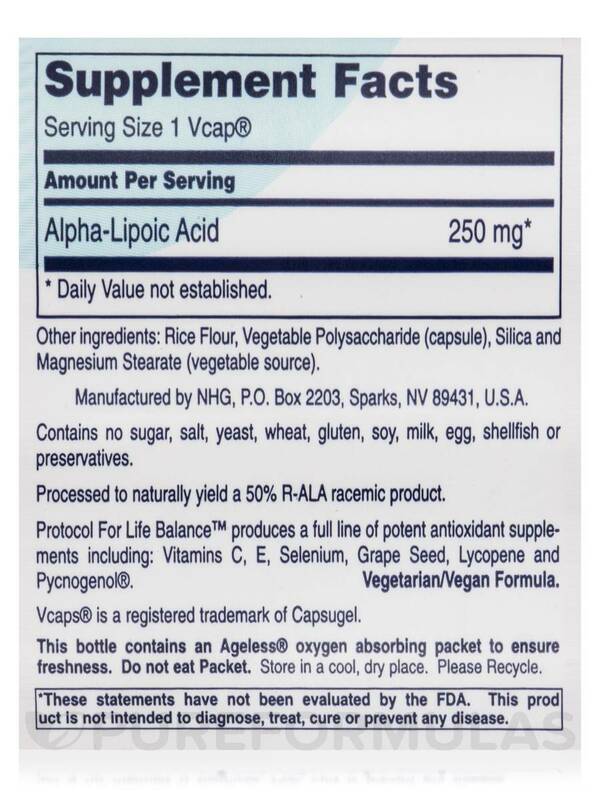 As a dietary supplement‚ take 1 Vcap® daily‚ preferably with meals‚ or as directed by your healthcare practitioner. 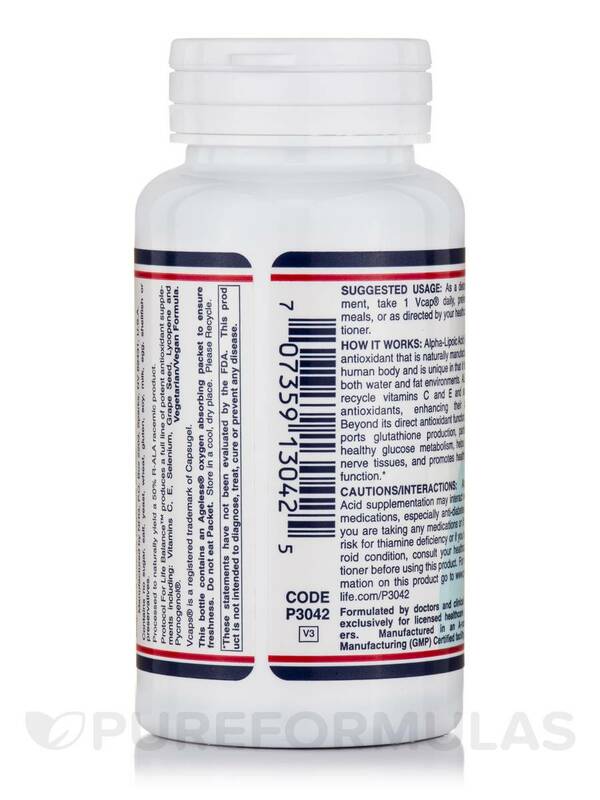 If you are taking any medications or if you are at risk of thiamine deficiency or if you have a thyroid condition‚ consult your healthcare practitioner before using this product.